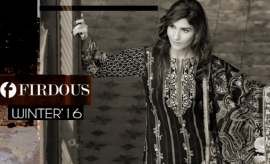 The summer lawn collections by all noted labels of fashion industry are being released and some are just about to launch soon. 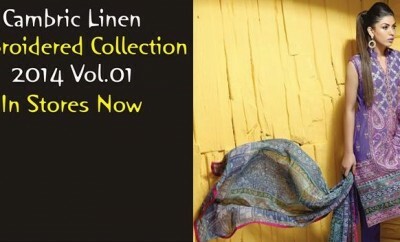 The ones being released will all be unwrapped at this platform for you, so you may get an idea about what the current season has brought for you to fill up your summer closets. So, here we go with another fantastic spring blast for you ladies. 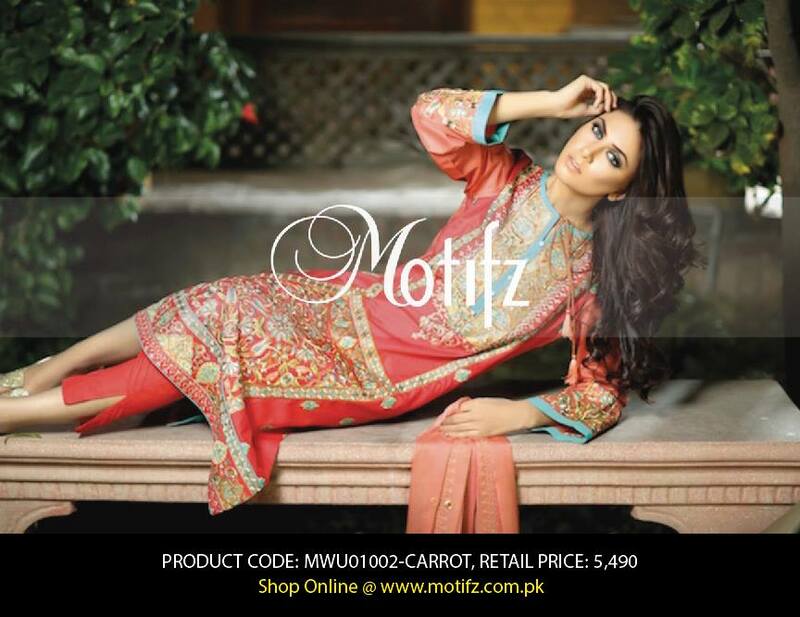 One of the very beautiful and finest collections released by Motifz will be discussed and shared via this post. 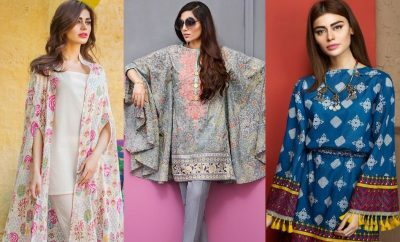 The trend of wearing embroidered fabrics in all seasons has been followed very much and this makes designers and brands focus on designing embroidered fabrics especially for summers when it becomes difficult to wear typical formal wear chiffon or silk dresses, so the best possible way is to go for embroidered lawn suits. 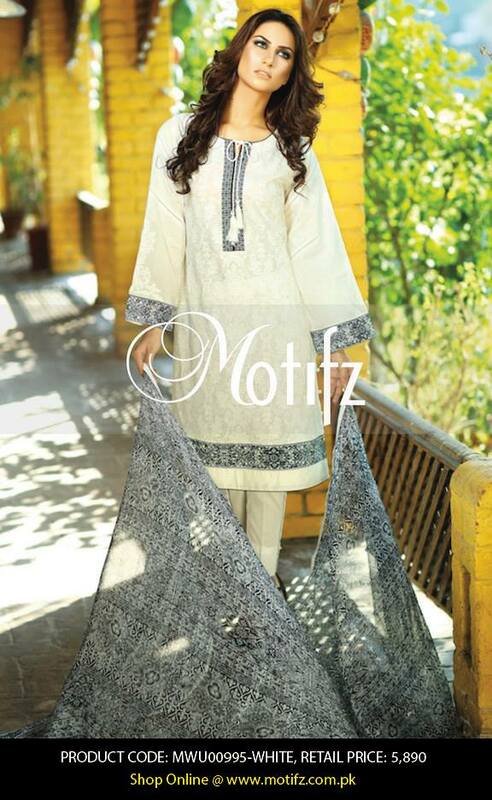 This especial collection line by Motifz will be covering a variety of dresses like that. 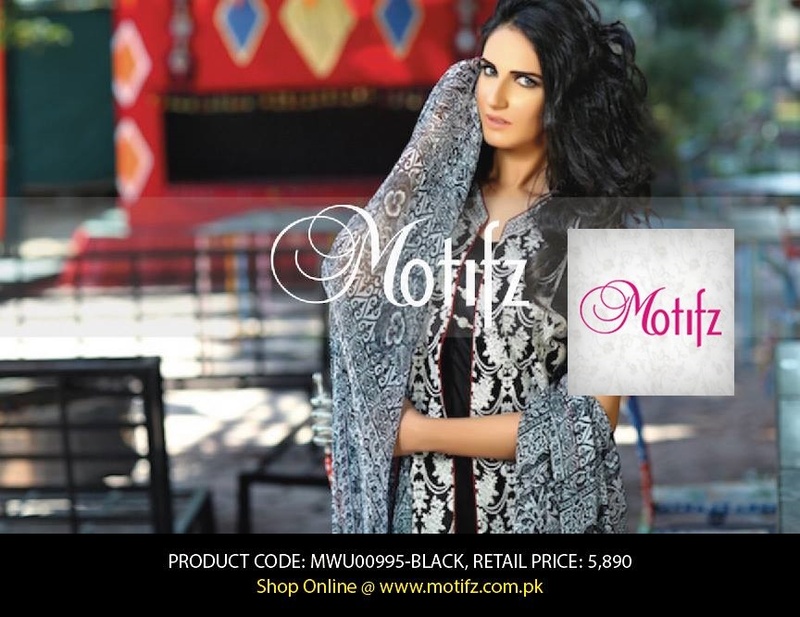 Motifz is a womenswear clothing brands being very prominent and recognized for designing best embroidered fabrics for women throughout Pakistan. 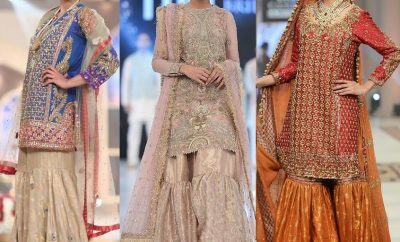 It is capable of designing fabrics with designs much more impressive and appealing as compared to the ones being introduced by any other popular fashion label of the country. 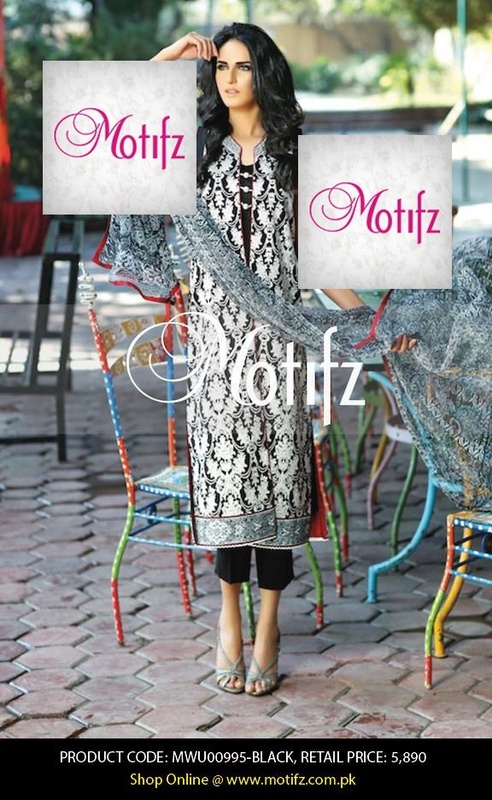 Stepping into the fashion market in 2004, Motifz has now won everybody’s confidence by earning a good reputation in the fashion market. 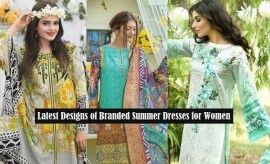 It has been ranking good since past few years and the designs are simply fantastic and mind blowing. 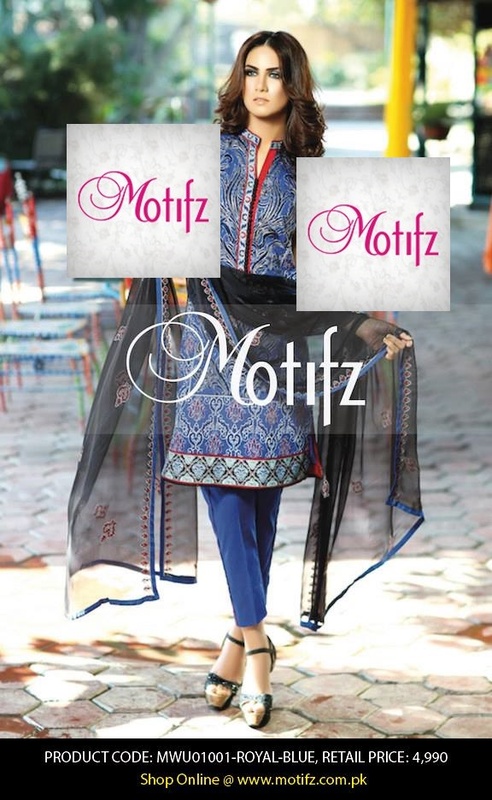 What could be more interesting for modern ladies to opt for classic and trendy seasonal wearables introduced in latest styles and designs, and Motifz has been providing them with such interesting stuff. 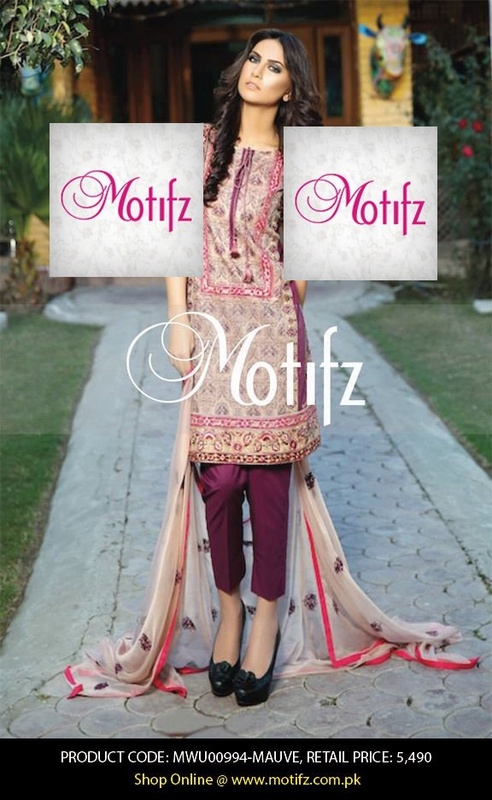 It deals in formal, semi-formal and casual wear line for women however is most famous for embroidered classics. 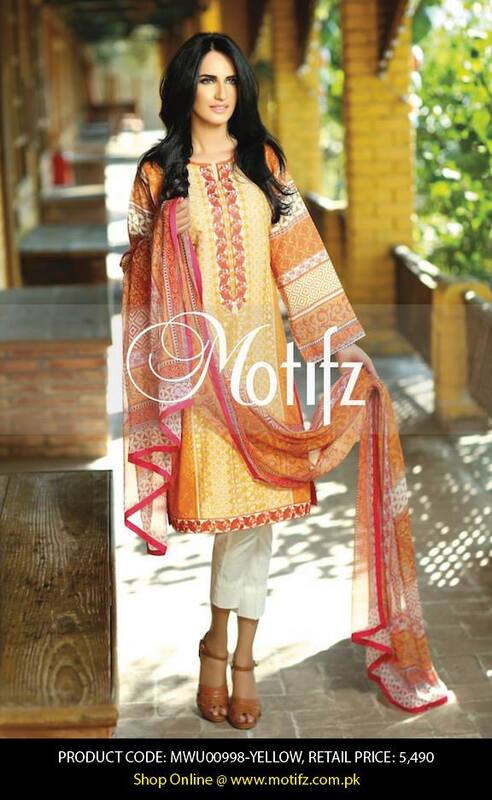 Motifz Summer Lawn Collection 2015-2016 has been released with a new flavour of spring summer prints. 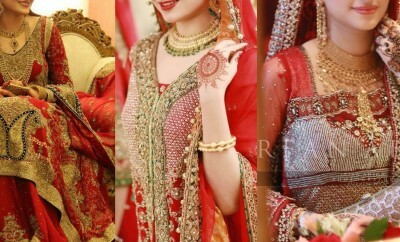 These designs and prints are as impressive as expected. 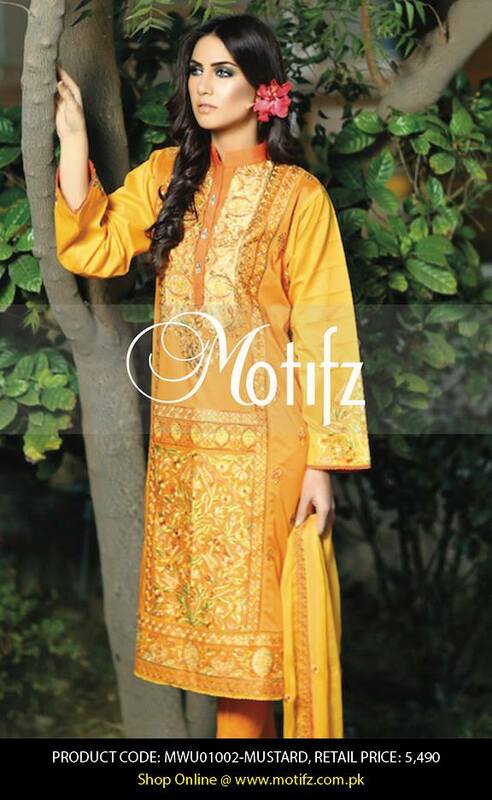 Women of all age groups and taste can find appropriate summer outfits for them from this stunning collection line. 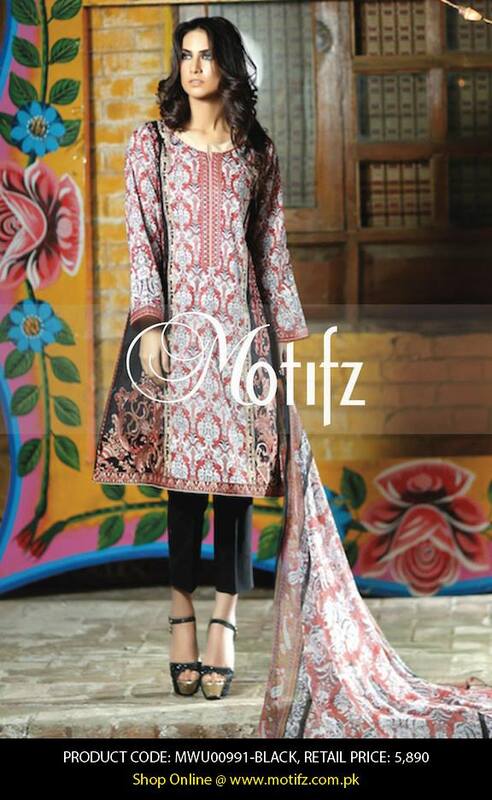 Featuring a wide range of pretty three piece unstitched embroidered lawn suits for women, this assortments is worth watching and appreciating. 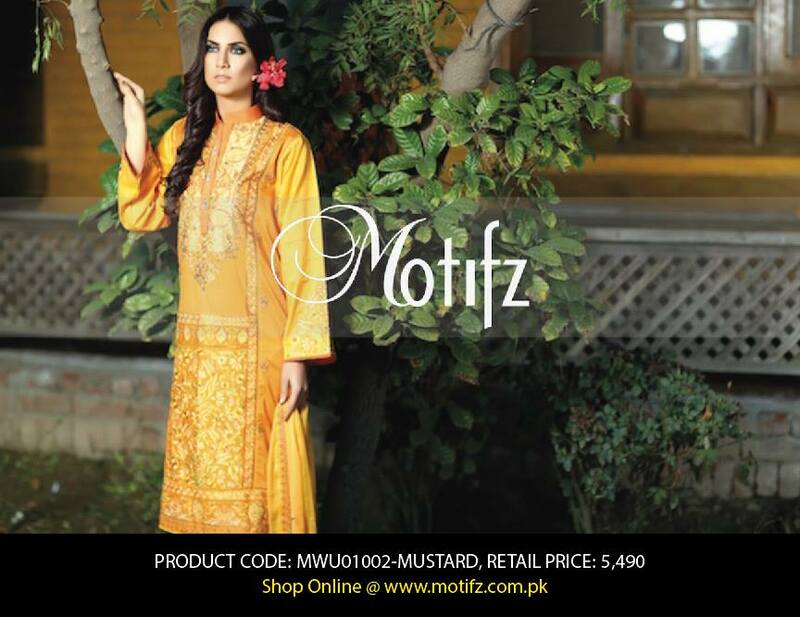 Do not miss the opportunity to grab these classy embroidered dresses this season offered Motifz Summer Collection with Price details. Just rush to the nearest store and pick them up before they run out of stock. 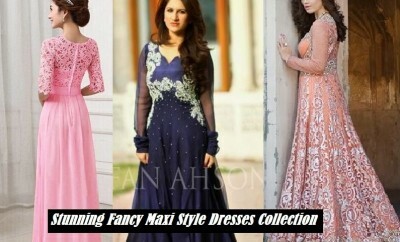 All articles have been displayed into the following photo gallery along with their codes and price details. 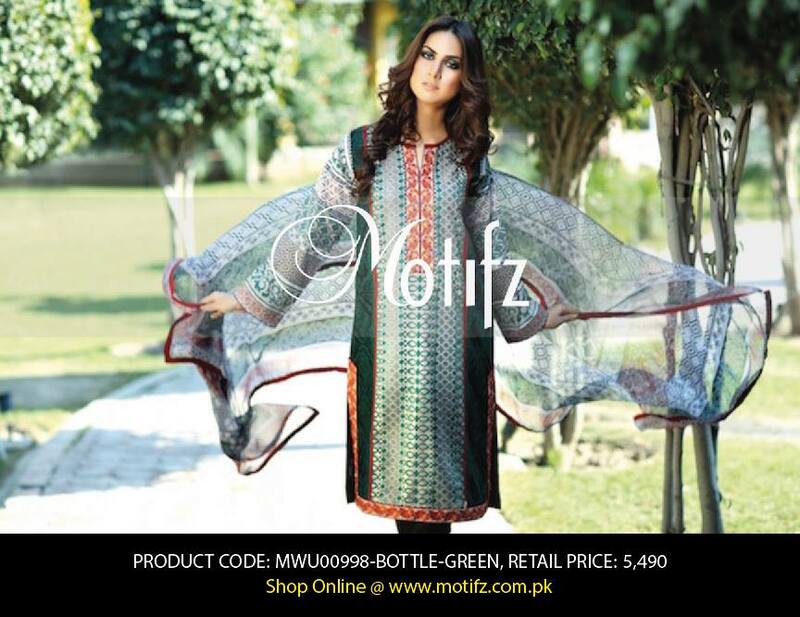 You can also purchase these dresses online from the Motifz official online store. Keep visiting Stylesglamour Summer fashion galley for more seasonal dresses collections.